The Virgin Islands were discovered by Christopher Columbus in 1493. In 1625, they became a Dutch colony, but in the period of 1672–1680, the English captured several islands from the Dutch. This part of the archipelago is now known as British Virgin Islands. 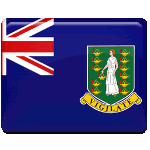 In 1967, the Constitution of the British Virgin Islands was adopted, introducing the post of Chief Minister (now Premier) – the head of government. Hamilton Lavity Stoutt, a former member of the Legislative Council, became the first Chief Minister. He won five general elections and served three non-consecutive terms of office. He is also remembered for having founded the United Party in 1967 and the Virgin Islands Party in 1971. After his death in 1995, H. Lavity Stoutt's birthday was declared an annual public holiday. He was born on March 7, but the official celebration of his birthday is typically held on the first Monday in March so that the islanders have a long weekend.